Some years ago I worked in a County Record Office ‘“ not music, but archives – and a large percentage of the people who came in to do research were looking up their ancestors. I was not really too interested at the time as these records only related to that particular county and my ancestors hadn’™t lived there. It was a fascinating job, I liked helping people to find out information and I liked meeting people from different parts of the world, mainly America, Australia and Canada who had ancestors in that county. I thought that when I had the time I’™d like to look up my ancestors too. My sister has spent several years looking at different records and has gone back to the early 1700s for some of the family. 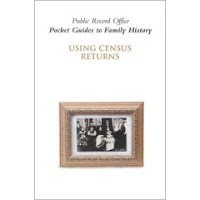 There’™s still a lot to do and so I’™ve started to find my way around family history records. So far I haven’™t actually left the house yet as there is so much available on line. It’™s extremely time-consuming and absorbing, not to mention complicated and frustrating. You can go back to 1837 in civil records of births, marriages and deaths on-line, but I find myself going round in circles, with page after page of name indexes. It is satisfying when you find the right person and then order their birth certificate (or whatever) on line and it arrives in the post a few days later. 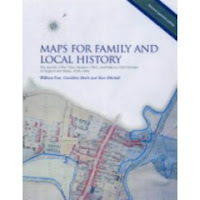 For information before 1837 you can look at parish registers, which record when people were baptised, married and buried ‘“ I think I’™ll have to travel all over the UK to see these, although the IGI (International Genealogical Index) is a good place to start. 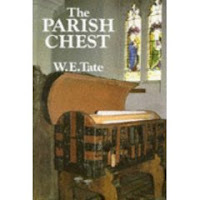 This contains millions of entries of names, taken from parish registers and other sources. I can look at this locally in the Local History Study Centre where they also have microfiche of the annual printed indexes to the National Probate Index 1858 ‘“ 1943. I’™d love to find an old will as these provide the deceased’s name, occupation, address, date and place of death, the names of executors and the value of the estate. Now that would be interesting, but how likely is it that my ancestors left anything like that? I particularly like the Census Returns, which list people where they were living on a particular day every ten years. These are available from 1841 up to 1901. You can look at these on line too. After a while your eyes begin to feel as though they’™re to big for their sockets, you get a headache, hunched shoulders and a round back from sitting and staring at the computer. But at least this lists everyone living at an address at that date, gives their age and occupation, relationship to other people at that address and the place they were born. I like to pad out the information as much as possible. So far, I don’™t think any of my ancestors have left diaries ‘“ that would really be a bonus. I can’™t find it, but I remember seeing a photo of my Taid (grandfather) wearing a ‘slouch’ hat in a group of other young men, dressed in khaki. He told me it was taken when he was in South Africa. This week this set me off on the trail of the Boer War records and I found that there were three people with his surname and initial listed in the Roll of Honour as recipients of the Transport Medal in 1900. One was the second mate on the ‘Hawarden Castle’, a ship transporting troops to South Africa in 1900 and as he was 20 in 1900 I can’t think this was him. The others were officers in the Royal Hussars and that couldn’t have been him either. I can’t think where to look for more information. There may be a lull in my book posts while I’™m delving into the past. 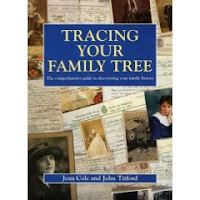 One book that may help is Tracing Your Family Tree by Jean Cole and John Titford and there are realms of websites to keep me busy, before I even leave home to see if I can visit the places my ancestors lived. There are so many resources to investigate, too many for this post, for example I love looking at old maps and finding out what the area was like when they lived there. Your quest sounds fascinating and it seems there is so much information to explore. I’ve tried to do a little bit of this, but haven’t been very successful. 3 sets, if not 4 of my great-grandparents were born in Europe. I was excited about a letter my mom has- written by my great-grandfather it states the ship he arrived on in New York and the date. When I went to Ellis Island and tried to find records though, I came up empty which was disappointing. Good luck with your search – it sounds as though you’ve accomplished a lot. That sounds like a fun pursuit, Margaret. Good luck to you. I have some knowledge of my family back to great-grandparents, but not a whole lot before that time. We do have a lot of people who come into the library looking for databases for geneologies. Our town has a history center though and a lot of info can be found there. I’m interested in this, as well. But, I’m afraid to get started as I know I would become obsessed and never get anything else done. Good luck with your search and keep us posted. Thanks for your comments. I’ll update as I find out more info. I sometimes think this might be a fun project for the future, but with a surname like mine – Thomas – I think there would be just be too many to search through! It is so strange that I don’t know the names of any great-great-grandparents, let alone any further back. Tracing the family is something that I’ve never got into, but there is someone with my name who is very involved and every now and again I get missives from him asking for or offering new information. There are very very few of us around which must change the parameters of the study, either making it much easier or much more frustrating, I’m not sure which. I hope your search isn’t frustrating. Good luck. Stuckinabook, I sympathise. I have Taylor, Robinson and Hughes in the family tree – not easy.Tabletalk, I was reluctant to get into this, my sister has been telling me about long lost relatives for years and I’ve resisted going into it myself up to now. I think it could be easier with an uncommon surname – at least one in my husband’s family has proved so, so far. Have fun with this! I’ll be very interested in your search and results.